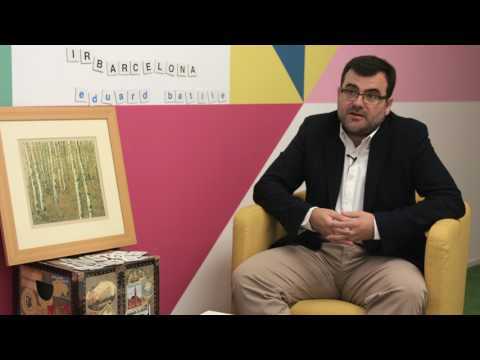 Eduard Batlle: "Deconstruir el càncer de còlon"
Colorectal cancer (CRC) is the most frequent and the second-most deadly type of cancer with around 700,000 deaths worldwide. Most colorectal tumors develop as benign lesions but a small proportion progress to more malignant stages when the appropriate alterations in oncogenes and tumour suppressor genes occur. The final and deadliest step in colorectal cancer progression is the metastatic dissemination of CRC cells to foreign organs such as the liver and the lungs. Our lab studies the evolution of intestinal stem cells and their ecosystem during cancer progression, with a particular interests in unraveling how the tumor microenvironment facilitates immune evasion and metastasis. The ultimate goal is to obtain information that help design new therapeutic and diagnostic tools. - How does the tumor niche specify the CSC state? - To which extent are tumor-cell phenotypes reversible or interchangeable? - What type of ‘regenerative’ responses occur upon CSC loss in a tumor, and how are these controlled? - Which are the intermedi¬ate states adopted by tumor cells during invasion? - How metabolic states of tumor stem cells controlled, and what are their effects? - Why some CRCs develop a TGF-beta-activated TME and others don’t? - How cancer associated fibroblasts mediate the phenomenon of immune exclusion? - Genetic analysis of the metastatic niche. - How systemic factors influence cancer recurrence? European Commission (EC), Fondo Europeo de Desarrollo Regional (FEDER), "Una manera de hacer Europa"
"Abordando el cancer colorrectal desde el microambiente del tumor" financiado por el Ministerio de Ciencia, Innovación y Universidades y por el Fondo Europeo de Desarrollo Regional (FEDER). Referencia: SAF2017-86782-R (FEDER, UE). "ACRCelerate: Colorectal Cancer Stratified Medicine Network" financiado por la Fundación Científica AECC.